WLS 007 - From now on, Girls get .45’s! 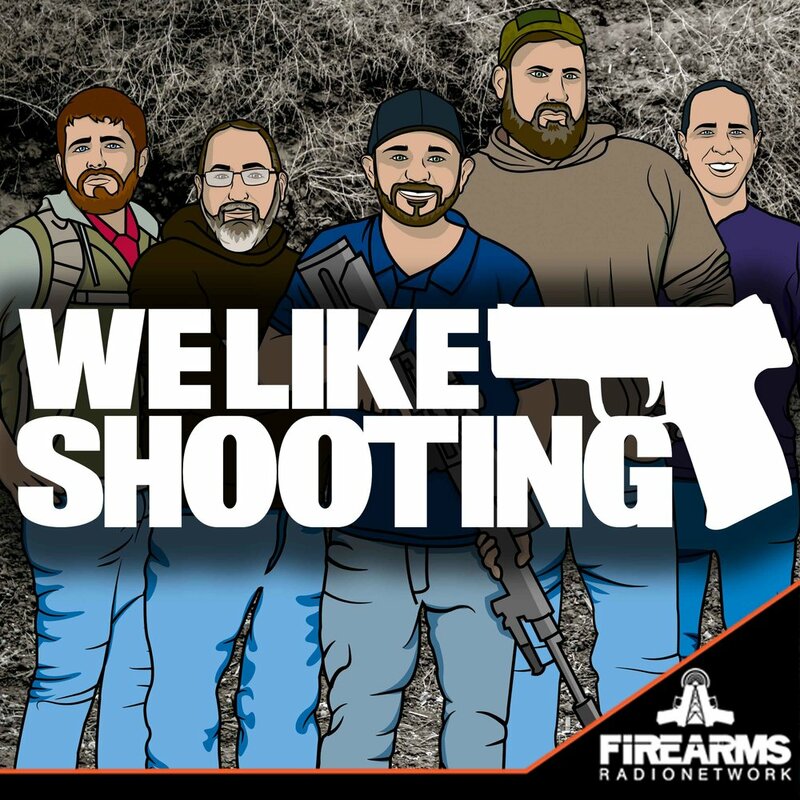 This episode we’re going to talk about clay clips, car holsters, ear pro, scope mounts, 80% lowers and combat optics. Join us on this journey, won’t you? Savage1r is a YouTuber who makes videos about shooting, philosophy, and do it yourself projects. Aaron - Law enforcement marketing specialist, Leader of the northern dwarves and media contact for WLS. Nick - Nick spends his day making high dollar rifles and barrels and his nights reviewing products. Shawn - I’m Shawn, I’m an instructor, reviewer, competitor and no one laughs at my wife jokes so I had to put in a laugh track last week. Anybody - WEAPON, big gulp soda (for any listeners in New York). Brian - Master, mastered, mastering, THE Master. Shawn: Went shooting with a couple of friends. Sometimes it’s great to just go shoot and really have fun. I spend a lot of time practicing so it was nice to haul out a bunch of guns and just go shoot. Shotgun speed reloads. Lil: Took my daughter to the range, I shot my XD45, she was shooting a Browning Buckmark, and we just practiced our fundamentals. Great mother/daughter time. Brian: Everything and anything related to triggers. I've been experimenting with different triggers for the ARs. Nailing down my own trigger pull. Lil: My concerns with Howard Leight Impact Sport electronic hearing protection (after trying 3 different pairs over a two year period) http://www.howardleight.com/ear-muffs/impact-sport. Have any of you tried Peltor Tactical electronic ear protection? This segment is for us to chat about local and sometimes national gun control. Vent away. Lil: Let’s talk about all the incidents of kids getting suspended for anything to do with a gun, from a tiny trinket to a New England Patriots Jersey, to kids playing with Airsoft guns in their OWN YARD. Without strong parental influence, the things kids learn in school become ingrained and are very powerful - it is practically brainwashing. Before too long, this generation will be our leaders and they are systematically being taught that guns are evil - even the symbol of a gun. -Yes, they needed their mom to discipline them, but one of them was suspended for a whole year! -According to one article the school classifies this act as "possession, handling and use of a firearm." (Source:http://www.foxnews.com/us/2013/09/24/7th-grader-suspended-for-playing-with-airsoft-gun-in-own-yard/). Now it’s time for our Montana update. Zak - Why not? Shawn carries one. Hefty Smurf - Brian - M134 Minigun (Handheld) with the ammunition backpack. Jesse Ventura style. Greedy Smurf - Lil It doesn’t matter what kind of gun he has, because he has so many, and he is the one buying up all the .22lr ammo, and the primers, powder, and bullets too. You will find him waiting for your favorite gun store to open on the day their shipments come in. Too bad you have to work, by the time you get there, he will have already bought it all. Vanity Smurf - Shawn - When looks matter more than function, gotta be a Kimber Aegis II. 9mm because, well, he’s a smurf. 45auto is a mans cartridge. Handy Smurf - Aaron - Hi-Point 45 ACP, because it takes a skilled technician to take it apart, and it is so sturdy it can be used as a hammer when one is not available. Gargamel - Shawn - Mossberg 500 persuader, no stock, pistol grip, smurf genocide in a shell. Brian: DezTacticalArms.com - (Company website) & http://www.practicalmachinist.com/vb/gunsmithing/pricing-gunsmith-work-more-brownells-survey-200977/ (Gunsmithing prices/rates). You mentioned on your last episode WLS 005 about the Remington Versamax, and it's use in three gun. My question for you is: For the first time shooter in three gun, besides the obvious required guns (rifle, shotgun, pistol) what kind of gear and equipment should you bring? Having shot IDPA for a little while, I understand how your gear changes as you get more involved, but strictly from a starting point, what should I be looking for? To get started in three gun what you’ll need is. Magazines for pistol and rifle. Method for holding magazines and shotgun shells. Strong belt, vest, whatever you can find. Gun cases, to transfer between stages. Then decide where your match is and start practicing. Like 3-gun? We have a discussion with a local competitive shooter coming out this week and we talk a bit about three gun and stage planning and how he goes about it. Stay tuned. We appreciate the feedback and basically love you now. If you like our show, please share share share. On facebook, twitter, google plus, your friends, your family, even make your pets listen to us.